SEO, PPC, CPC, Bounce rate… Can’t follow a word? Don’t worry, you’re not the only one who has encountered this problem or struggled to understand these concepts as a digital marketing newbie. There are these old terms, which you just can’t do without, in the digital spectrum and then there are those that keep popping every other month, thanks to Social Media, that we all have trouble getting a grip on. Digital Marketing, the unplanned field, was born out of jargons, terms & short forms. Don’t worry, you’re not the only one who has encountered this problem or struggled to understand these concepts as a digital marketing fresher. Here is an A to Z list of what I feel are some terms that commonly occur and had bewildered me as a digital marketing fresher. I hope, last week’s blog was useful to all our readers. This week I will be covering letters M-R. Hope you all enjoy learning while you actually put it to practice. There’s no other way to get better and know better unless you have tried it out yourself. So let’s learn & let’s experiment. An image, video, piece of text, typically humorous in nature, that is copied and spread rapidly by Internet users, often with slight variations or is an activity, concept, catchphrase or piece of media which spreads, often as mimicry, from person to person via the Internet. 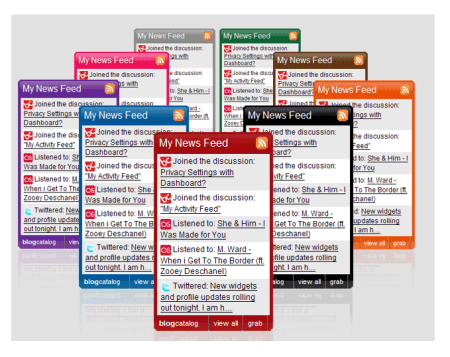 A News Feed is a list of updates on your own Social Media home page. The News Feed will show updates about those people who are in your friend’s list, as well as the odd advertisement. The News Feed is actually a collection of events from your friend’s own Mini-Feed that is intended to give you a quick look at what your friends have been doing on their page. Native advertising is a form of online advertising that matches the form and function of the platform on which it appears. For example, an article written by an advertiser to promote their product, but using the same form as an article written by the editorial staff. Organic reach is the number of unique people, fans or non-fans, who saw any content about your Page in their News Feed, Ticker or on your Page or otherwise Organic reach is the total number of unique people who were shown your post through unpaid distribution. The domain name OOO (Triple O – Alphabet O) is a top-level domain (TLD) in the Domain Name System of the Internet. This new top-level domain is launched and operated by Infibeam. Infibeam received license from Internet Corporation for Assigned Names and Numbers (ICANN) to own Internet root. In January 2015, Netcraft, an internet research company reported the trend of thousands of sites using .ooo domain. A digital audio file made available on the Internet for downloading to a computer or portable media player, typically available as a series, new instalments of which can be received by subscribers automatically or otherwise is a digital medium that consists of an episodic series of audio, video, digital radio, PDF, or ePub files subscribed to and downloaded through web syndication or streamed on-line to a computer or mobile device. Paid reach is the number of unique people who saw an ad or Sponsored Story that pointed to your Page. The number of unique people who saw your paid content. It is the number of unique people who saw an ad or Sponsored Story that pointed to your Page. The Readability Test Tool provides a quick and easy way to test the readability of your work. It is the most flexible readability software for assessing readability formulas. You can test all, or part of a web page, or simply type in your text. Link directly from your page – it will compute the results for the referring page.